April 23 , by Katrina. More and more Etsy is becoming a go to place for beading supplies. 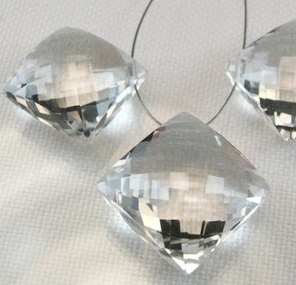 Here is another funky find, these micro-faceted diamond shaped briolettes are available from Sky Valley Gems – and could make for some sparkly chunky jewels. I love Etsy for unique beads! Those are some great crystals, thanks!